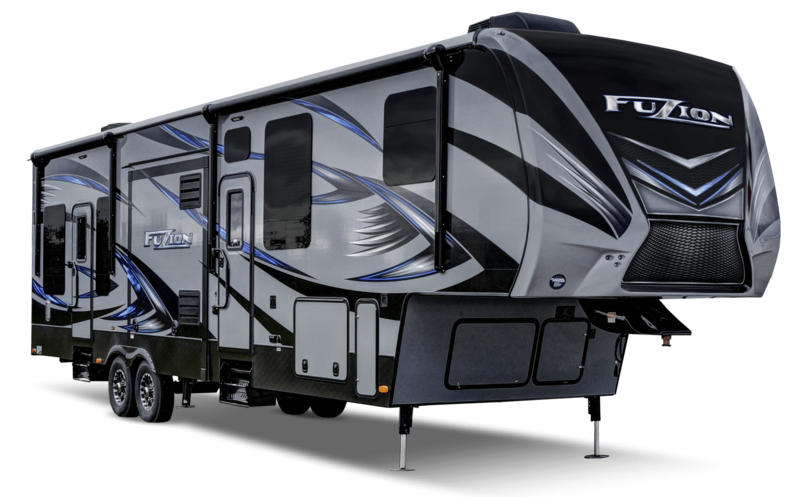 The Fuzion Fifth Wheel Toy Hauler is "More Than A Garage" with innovative patio door and exterior automotive advances. The stylish modern look boasts the "Hottest Brand in the Industry". By combining rugged adenvture and luxury living, Keystone offers the ultimate crossover. Easy set up on the toy hauler patio systems with lightweight railing and ramps expanding your entertainment experience.